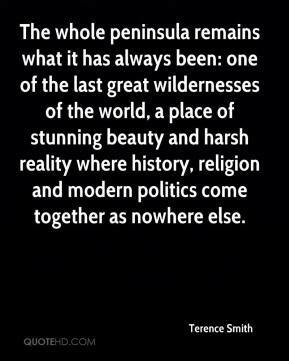 The whole peninsula remains what it has always been: one of the last great wildernesses of the world, a place of stunning beauty and harsh reality where history, religion and modern politics come together as nowhere else. 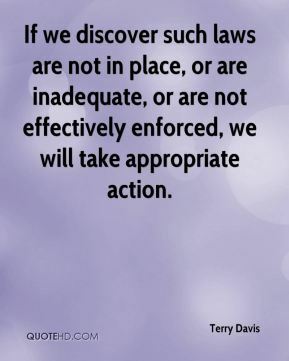 If we discover such laws are not in place, or are inadequate, or are not effectively enforced, we will take appropriate action. Everything fell into place. This was a confidence-builder, but there is still a sense of urgency. 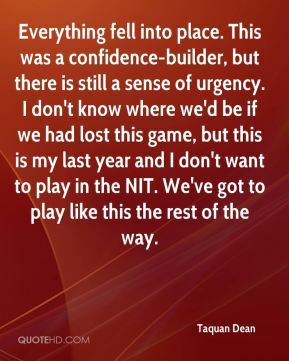 I don't know where we'd be if we had lost this game, but this is my last year and I don't want to play in the NIT. We've got to play like this the rest of the way. I would give everything up just to have him back. If I could be there in his place, I would. 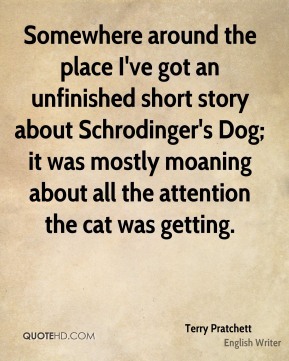 Somewhere around the place I've got an unfinished short story about Schrodinger's Dog; it was mostly moaning about all the attention the cat was getting. The place looked as though it had been visited by Gengiz Cohen (footnote: hence the term "wholesale destruction"). 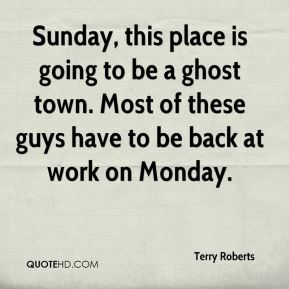 Sunday, this place is going to be a ghost town. Most of these guys have to be back at work on Monday. 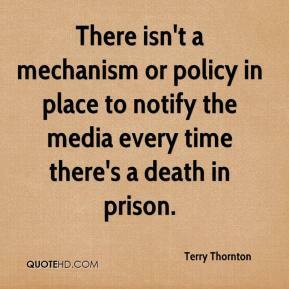 There isn't a mechanism or policy in place to notify the media every time there's a death in prison. The 10 of us are enormously excited to be at a place that wants nothing more than to produce the kind of television journalism that focuses on issues that matter to the largest number of people. We look forward to creating quality programming that provides the in-depth information for which Discovery Channel is known. I was standing all alone against the world outside. You were searching for a place to hide. Lost and lonely, now you've given me the will to survive. 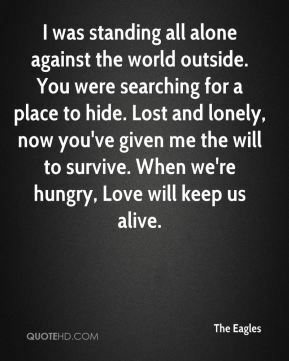 When we're hungry, Love will keep us alive.